Osteoarthritis is very common and affects most of us from the age of 20. Panic not; this is mostly pain-free and these changes are normal like the grey hair or wrinkles that most of us will acquire at some stage. 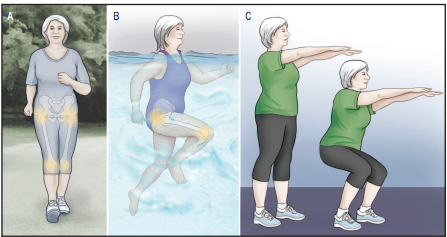 Physical activity is a great way to manage aches and pains despite having osteoarthritis. You may find this post on exercises for back pain interesting. Over 70% of people in their twenties have disc bulges in the neck without neck pain! So, don’t worry if medical imaging has shown some of these changes: keep moving, and if you feel stiff or achey, feel free to contact us.